An eccentric Scottish activist who played a key part in the campaign to abolish tolls on the Skye bridge has been revealed as the godfather of Hollywood actor Leonardo DiCaprio. Robbie the Pict, self-styled leader of the Pictish Free State micronation, has secretly been shouldering the role of spiritual guardian to the performer since his birth in Los Angeles in 1974 - albeit it from a distance. Leonardo di Caprio in The Revenant. The bearded Highlander, who lives in Broadford on the Isle of Skye, is said to have struck up a friendship with the star’s father George, a comic book writer, when he worked for a publisher in California in the 1970s. “He used to tell me about his Italian family in New York and I would regale him with tales of Picts and Scots,” he said. It was around the same time the 68-year-old Scotsman legally changed his name from Brian Robertson. When baby Leonardo was born, he says he was “humbled and honoured” to be chosen as his godfather. “I was very flattered when George suggested it,” he said. 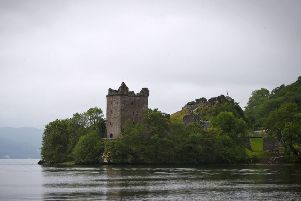 A supporter of Scottish independence, the former student of Aberdeen University founded the mini state of Pictland in 1977 on an acre of land gifted to him on the Misty Isle. He hasn’t seen his godson, who is now 41, for the past four decades but says he keeps tabs on his progress. Actor and producer DiCaprio picked up a Bafta last week for recent role in the film The Revenant and has previously won three Golden Globes. Now he is being tipped to win his first Oscar at the Academy Awards this weekend. Godfather Robbie said: “I hope he wins. But perhaps some of his Scottish mentor’s character has rubbed off on the Titanic and Catch Me If You Can star, a dedicated environmentalist who has received praise from campaign groups for his activism. Father George DiCaprio confirmed the Scot is his son’s godfather. “Robbie used to come down here to Los Angeles and spend time with me, Leo and the family,” he said. The Picts were tribal peoples who lived in what is today eastern and northern Scotland during the late Iron Age and early medieval periods. Many historians believe they were ‘painted people’, who may have decorated and tattooed their faces and bodies with dyes. Robbie the Pict set up the micronation in 1977 as a means of promoting awareness of the Pictish culture. He was also a leading figure in the ultimately successful campaign to abolish tolls on the Skye Bridge, arguing that the legal paperwork was incomplete and so the levy was illegal. The toll was abolished in 2004 after the government bought the bridge from its private owners. Robbie the Pict also appealed to Prince Charles to help overturn the criminal convictions of those who had been prosecuted for refusing to pay the toll. The move failed.